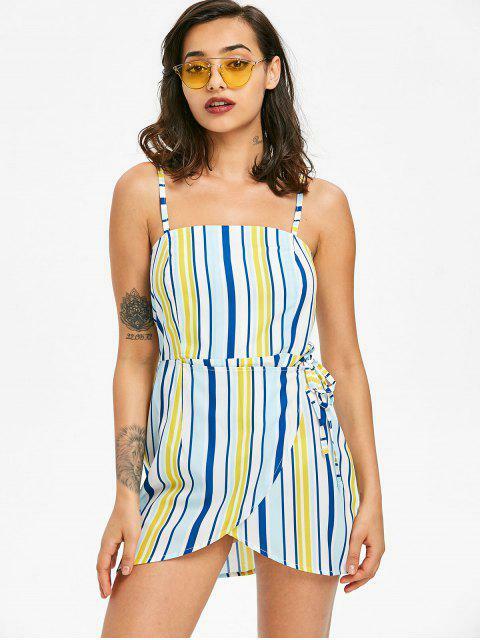 [39% OFF] 2019 Overlap Striped Slip Dress In YELLOW | ZAFUL ..
A combination of our favorite weekend looks starts with a perfect contrast stripes pattern and a sweet slip mini style. This mini dress also features an overlap design with an adjustable tie at the waist. It is an ideal mini dress for the summer date!